Is Alcohol Consumption Connected to Candida? - YeastInfection.Org by Eric Bakker N.D.
You are here: Home / Other Issues / Is Alcohol Consumption Connected to Candida? August 13, 2015 by Eric Bakker N.D. I have seen several patients in particular who find it almost impossible to stay away from alcohol yet who have digestive issues, skin complaints and fatigue. This to me is saying that you have a money problem yet you keep taking on more credit with the bank and continue a gambling habit. Of course you have a problem, and the cause is right under your nose but you are either in denial or you just can’t be bothered. I can’t think of any food or beverage more destructive for the candida patient than alcohol. It never ceases to amaze me when I read many different blog sites, e-newsletters, e-books and other sources of information with regard to candida yeast infections, that most practitioners (and their patients) completely overlook one of the biggest maintaining causes (probably the # 2 dietary cause) of on-going yeast infections – alcohol. Now that I have your full and complete attention, listen up if you have candida and drink wine, beer or spirits please STOP! and also cause problems in the developing foetus. When we drink alcohol, it is broken down in the liver where an enzyme known as alcohol dehydrogenase converts it into acetaldehyde. Then another enzyme breaks it down further into acetate, which gives our cells energy. The problem is that the body’s ability to convert acetaldehyde is undermined when there is more acetaldehyde in your body than the enzyme you can produce. High levels of this chemical remain in the body and can cause a kind of poisoning which not only does physical damage but can very much distort mental perceptions. A majority of alcohol’s harmful effects are due to the acetaldehyde. If you think that it is only alcoholics or people with a high level of toxicity who would get these effects, well ask yourself if you have ever had a hangover. Hangover is the first obvious sign that you have acetaldehyde accumulated in the body. An additional factor to consider is alcohol sensitivity. A review article that was published in 1987 by Goedde and Agarwal discusses alcohol sensitivity where people who have a certain genetic makeup are deficient in the enzyme that converts acetaldehyde to clear it from the system. This results in acute alcohol sensitivity symptoms (flushing response) even by drinking very low amounts of alcohol. Apart from this, if you are a woman, alcohol causes tissue damage more rapidly compared to men. Eriksson and colleagues from Finland published a research in 1996 which showed that acetaldehyde levels rise much more when women take alcohol during the high estrogen phases of the menstrual cycle. The same is also true for women who take oral contraceptives. 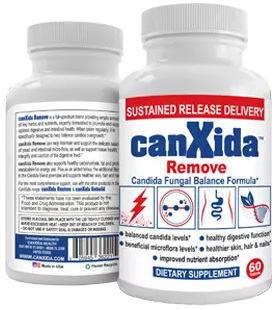 You are suffering from candida and candida produces acetaldehyde in your body. Your liver enzyme is continuously trying to clear the acetaldehyde produced by candida by converting it. You then go ahead and have alcohol. Your body converts alcohol to acetaldehyde. You will now not have enough enzyme to convert the acetaldehyde that is produced from alcohol breakdown by your body! Acetaldehyde will accumulate and cause toxicity. You can read in details about how and why acetaldehyde can harm you – especially so if you are also suffering from candida infection here. Remember, alcohol of any kind is bad for your candida infection. Anything that contains ethanol is! Do all the arguments that you find on the internet make sense? It is true and is known for a long time that the liver does not metabolize alcohol into sugar – it produces acetaldehyde which is eventually broken down to acetate which is used by the cells for energy. It is also true that most people will experience a dip in blood sugar levels on consuming alcohol. Candida can actually use ethanol as its energy source. Some strains of Candida albicans can use ethanol more effectively than others and produce acetaldehyde. Even Candida glabrata which is also involved in causing candida infections can utilise ethanol to produce acetaldehyde. So if you drink alcohol and think that it does not matter to candida, it does – it makes candida very happy! Well, if you think that drinking alcohol will cause a reduction in your blood glucose level and thereby not be good for candida and thus good for you, think again. Why do you want to forget (or ignore) acetaldehyde that is produced from ethanol and the harm it can cause? If you are a candida sufferer, you are at an even higher risk of acetaldehyde accumulation as described earlier. So, yes, alcohol may reduce your blood sugar that candida likes for a meal, but beware, you are inviting an even bigger evil than sugar – acetaldehyde! Also, candida will love to use alcohol as its energy source if you are running low on blood glucose. WOW, this one is simply WRONG. I suppose that by now you can already see yourself how wrong this is. Yes, sugars are broken down to ethanol by candida – but ethanol is not really a waste! As mentioned earlier, candida will be as happy to use ethanol as sugar. Another enzyme from candida converts ethanol into acetaldehyde and yet another enzyme converts acetaldehyde to acetate to give candida energy. So, ethanol is not good for candida – it is FOOD for candida. But if you drink any alcoholic drink when you have candida infection, you are inviting trouble as acetaldehyde is very reactive and it can interact with your molecules while candida converts it to acetate. Some candida strains are slow or deficient in this conversion and can cause acetaldehyde to accumulate and cause harm. Alcohol injures the mucosal membrane: If you have candida infections, this will only help candida to grow deeper into the tissues. Alcohol interferes with absorption of nutrients: Nutrient (vitamin and mineral) deficiency could put you at a higher risk for candida infections. Alcohol causes dysbiosis: There is evidence that drinking alcohol causes change in the bacterial microflora in your gut. This changed bacterial growth produce endotoxins and inflammation. You know very well that one of the major causes of candida overgrowth is dysbiosis. Alcohol increases the permeability of the gut: This allows larger molecules like toxins produced by microbes and other chemicals to pass through the gut into the bloodstream. This can cause injury to your liver because these toxins in the blood stimulate inflammatory response. Also, candida by itself is known to increase the permeability of the gut resulting in food allergies. Having alcohol can actually aggravate your food/other allergies even further. Alcohol with over 15% alcohol decreases your bowel function: Because of this the digested food remains longer in the intestines which could cause microbes to start degrading it causing bloating and gas. Increased permeability of the gut may allow the degradation products to get into your bloodstream. You know the solution, STOP all alcohol completely and watch what happens to your digestive system and bowel motion. You can also take CanXida supplement – you can find more about it on canxida.com. You will be most surprised to see a change over seven to ten days, I guarantee it. If this happens, and it will (unless you also eat lots of take-out and processed foods) you are on your way to great health. Congratulations, you are finally in what I call the “wake-up” mode. You have seen the light and will not only be decreasing your population of intestinal yeast, you will be improving your health in ways you didn’t think were possible – that skin rash will go, that itchy groin will go, that vaginal discharge will go, and many other signs and symptoms of a candida yeast infection will go. List of some frequently asked questions about candida and alcohol. Does drinking alcohol cause candida? Yes, drinking alcohol can cause candida through various mechanisms described in this article. Does sugar alcohol affect candida? Can alcohol worsen my candida if I drink it? Yes, it can definitely worsen your candida. Candida can use alcohol as food and grow. Is there any alcohol that doesn’t feed candida so I can drink once in a while if I am on candida diet? Or all types of alcohol are bad for candida? All types of alcohol are bad for candida – if there is ethanol in your drink, it is bad for you. Can I drink alcohol after I got rid of my candida overgrowth? If you wish to avoid getting candida in the future, you should completely avoid alcohol as it can not only promote dysbiosis, attachment and penetration of candida, but also act as fuel for candida to grow on. No. Vodka has high amounts of alcohol, so you cannot drink it on a candida diet. Does isopropyl alcohol kill candida? Yes, 70-90% isopropyl alcohol can kill candida. Isopropyl alcohol, like ethanol kills microbes, but only at these very high concentrations. Alcoholic beverages cannot kill candida as they do not have high enough concentration of ethanol. What is alcohol challenge test? Is it good to detect candida overgrowth? The “alcohol challenge test” is a test which checks if you have production of alcohol in your gut. A few cases were reported where people had all the symptoms of being drunk without having drunk any alcohol. This was attributed to the yeast growing in the system and was termed as the “auto-brewery” syndrome. This can be caused by alcoholic fermentation of carbohydrates in the gut by both bacteria (Neisseria and Clostridium) and yeasts (like the Brewer’s yeast – Saccharomyces and Candida) that have an overgrowth in the gut. Basically, you fast for at least 3 hours before the test and should not have taken alcohol for 24 hours and then are fed glucose. Blood samples before and after feeding glucose are taken and tested for ethanol. As this test can come out to be positive because of many different organisms it is not a very reliable test for candida overgrowth. What about alcohol free wine/beer for candida is that okay? No, they are not, especially if you are allergic to yeasts. Although the yeast may have been thoroughly filtered out, the compounds that yeast produces will still be there. Non-alcoholic wines and beers also contain small amounts (less than 0.5%) of alcohol. But if you are on a candida diet, the candida will absolutely love the little alcohol that you give it. Are spirits or gin okay? No, they are not as they contain large amounts of ethanol. Is alcohol not allowed because it can cause die off? No, this is not true. Drinking alcohol will not cause die-off. Alcoholic drinks cannot kill candida as they do not have enough ethanol to have the microbe killing effect. I was told a yr ago I have lymes aND kandida. Iv been treating them naturally with colliodal silver and olive leaf extract. Overall I feel much better. I stoped drinking beer at all and switched to vodka and tequila witch the lyme doc says was much better. I have recently had a couple instances wIle drinking. I feel fine and then il be so drunk I can’t stand. The amount of alcohol hasn’t gone up could this be a side effect of the kandida? I think Candida makes me want to drink more when I do drink. I used to make absinthe with vodka wormwood black walnut clove and star anise and use to just drink one shot mixed in water and could stop. I know that those herbs attack Candida so maybe that’s why I didn’t want to drink a lot like I do now. I’m going to stop altogether now though. If I can’t cold turkey I’ll try making absinthe. I wonder if kombucha is ok it is probiotic but does have some alcohol. Once you have been over your candida problem for years, can you have an occasional drink? For anyone reading this: start taking daily salt baths! I use a mixture of Epsom and Dead Sea salts! Also adding tea tree oil can be helpful. Oh, and f*ck off the alcohol. Maybe smoke? I cleared my candida. Then I had a drink for my BDay. Now all the symptoms are back. So I am back to square one. Alcohol is more devastating than Suger intake. Same here. I drank HEAVILY for the holiday and now it’s back. I got rid of the candida the first time by switching to a diet of veggie* and strictly salmon. I drank ONLY water everyday, took acidophilus two times a day, and drank apple cider vinegar as much as I could stand it. I could not stop drinking cold turkey so I switched to Apple Ale and Mikes Harder Lemonade as a drink when I wanted to have a few. Tequila (only 1800)!! helped tremendously as well (sparingly). However, this was only after two 1/2 months of no bread, sugar, and the diet above. Two shots of 1800, two days in a row helped my bowels become solid and I had no symptoms for 3 months ( and I was drinking ) until now. Idk, it’s worth a shot. It worked for me. Yes. Candida can cause you feel drunk when you aren’t even drinking. Adding alcohol only makes you less tolerant of your usual drinking habits. Listen to your body. I find it hard to believe that the WHO says there are no safe limits with regard to alcohol consumption. I also find some of Eric’s statements hard to swallow ;-). There has got to be a formula for stopping, or at least limiting, the metabolic process that creates the conditions for candida to grow. With what Eric as said, the only really safe beverage is water. What if there was a pre-drink sequence, something salt or sulfur based? In addition, the quantity of alcohol would need to be greatly limited, say one shot. There would also need to be a post sequence to help eradicate any sugar/carbs in one’s system–a protein laxative? I know it’s a weird thought, however, one would need to think WAY outside the box for an in the gut solution. Thoughts? Everyone is different this is a concept that is very hard for people to swallow. They read an article and instantly stop drinking even though they were drinking for 40 years. You can’t make extreme changes overnight. If you been drinking for ages then make small gradual changes over time. Follow a diet that you can turn into a lifestyle, that means if you like drinking make small changes so that you stop drinking other than once a month (a glass of wine or something). I am not sure about Eric but I believe alcohol does no good to anyone. I have never in my lifetime seen anyone do any ACT OF GREATNESS while intoxicated.